Given the kleptocratic nature of international bureaucracies (particularly my good buddies at the Paris-based Organization for Economic Cooperation and Development), I’m never surprised when a bad proposal is unveiled. And since the United Nations has a long track record of supporting global taxation (with the money going to the U.N., of course), I’m even less surprised when that crowd produces another idea for fleecing people in the productive sector of the economy. Here are some excerpts from a Yahoo report. The United Nations on Thursday called for a tax on billionaires to help raise more than $400 billion a year for poor countries. An annual lump sum payment by the super-rich is one of a host of measures including a tax on carbon dioxide emissions, currency exchanges or financial transactions proposed in a UN report that accuses wealthy nations of breaking promises to step up aid for the less fortunate. These people love taxes, perhaps because they get tax-free salaries. But setting aside their despicable hypocrisy, there’s scant evidence, if any, that foreign aid does anything other than foment corruption in recipient nations. And there’s lots of evidence, by contrast, that free markets and small government do create prosperity. Yet the United Nations reflexively wants to line the pockets of the political elite in poor nations. And we’re not talking about pocket change. The report estimates that the number of people around the globe worth at least $1 billion rose to 1,226 in 2012. There are an estimated 425 billionaires in the United States, 315 in the Asia-Pacific region, 310 in Europe, 90 in other North and South American countries and 86 in Africa and the Middle East. Together they own an estimated $4.6 trillion so a one percent tax on their wealth would raise more than $46 billion, according to the report. “Would this hurt them?” it questioned. You have to appreciate the supreme irony of pampered international bureaucrats demanding that others should surrender some of their money. I’m also impressed by their ability to come up with new tax schemes. — a tax of $25 per tonne on carbon dioxide emissions would raise about $250 billion. It could be collected by national governments, but allocated to international cooperation. — a tax of 0.005 percent on all currency transactions in the dollar, yen, euro and pound sterling could raise $40 billion a year. — taking a portion of a proposed European Union tax on financial transactions for international cooperation. The tax is expected to raise more than $70 billion a year. Let’s close with some good news. Proposals for global taxation from the United Nations are so radical and so far from the mainstream that even the Obama Administration generally is opposed to these crack-pot ideas. Though that may simply be because Obama wants to seize the money for his own class-warfare purposes and doesn’t want to compete with other taxing authorities. Sort of the way hyenas and vultures sometime fight over a carcass. Or how inner-city gangs sometimes fight over turf. Actually, I apologize for those analogies. I hope the carrion feeders and gang-bangers of the world will forgive me for equating them with politicians. 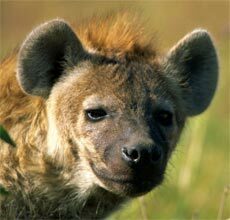 Hyenas and vultures both have valuable roles in the ecosystem. And gangs sometimes engage in non-coercive activities such as selling drugs to yuppies. It’s beyond my abilities, however, to say something nice about politicians. U.S. out of the U.N.
U.N. out of the U.S.
Wait… how much of the UN’s budget is already funded by the United States? Is the tax going to be on top of this? No taxation without representation. I don’t recall being allowed to vote on who I wanted to lead the UN. Nor does it seem to have anything like a legislature in which I am represented. Who are these UN clowns, and what right do they have to demand money from anyone? I don’t recognize the UN’s authority on anything, since it appears to be a group of unelected bureaucrats who are accountable to no one. Wait until Obama isn’t president anymore and starts campaigning to be the next Secretary-General. on July 9, 2012 at 10:59 am AD-RtR/OS! UN tax-collectors need to be reminded as to why Yamamoto counseled against any invasion of the United States. I love the “Come on, it’s only 1%” argument. It always starts small. But only a moron would think it would end there. Eventually billionaires would be demonized because they won’t pony up 10, 20, and later 30+% of their wealth to salve the guilt and/or egos of UN bureaucrats. The corruption inherent in foreign aid is a feature for these people, not a bug. To make it easier for dictators to develop their retirement funds.